Sadly, most tourists to Oahu only visit Waikiki, and they miss the most beautiful Oahu beaches. I avoid Waikiki. The beaches in that area are crowded and nothing what I think of when I think of the perfect Hawaiian beach. 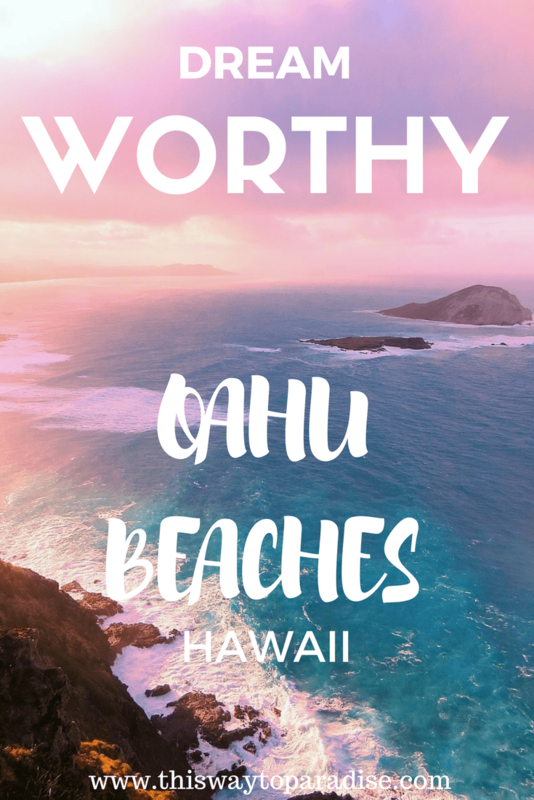 That’s why Expedia.com asked me to share some of my favorites you should check out on your visit to picture perfect Oahu. Remember that “roll in the sand while kissing scene” from the movie, From Here To Eternity? 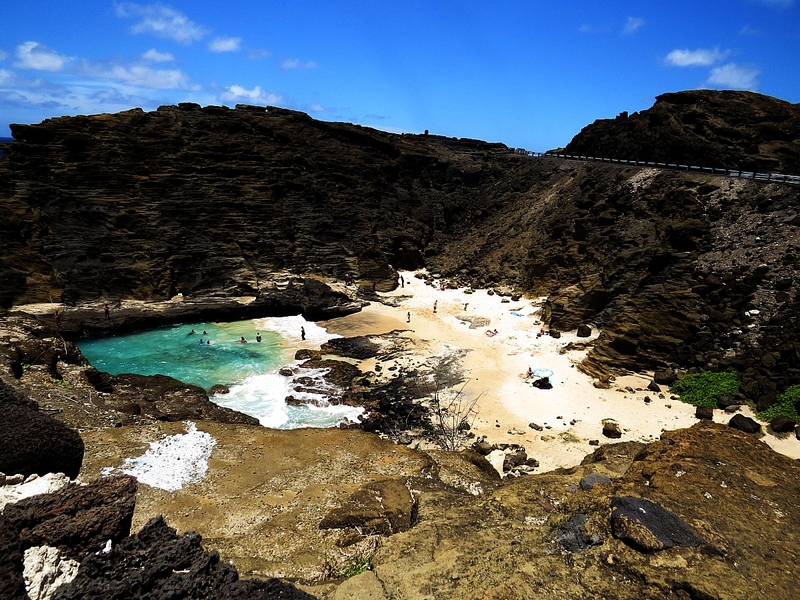 That was filmed at Halona Cove which is one of my favorite beaches on Oahu. 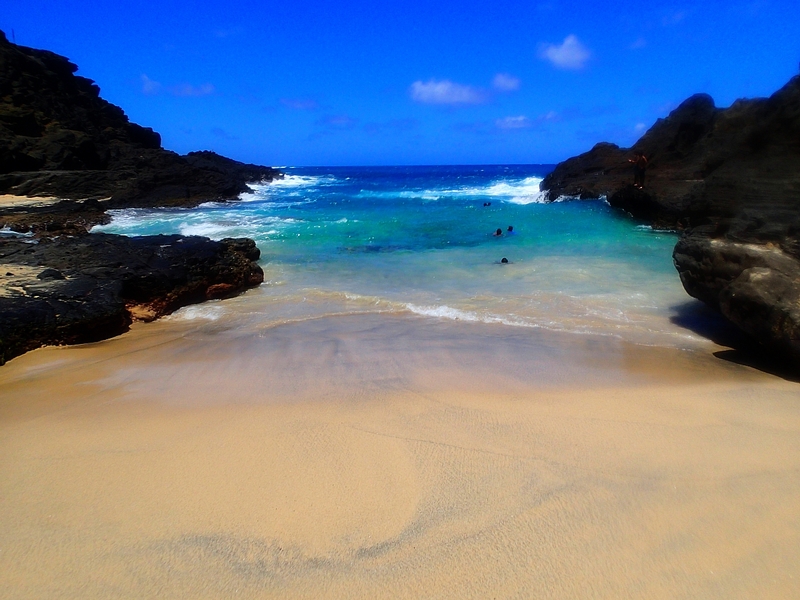 With blue-green water, this beach is a hidden treasure. You have to hike down a few boulders to get to it, but it’s so worth it. 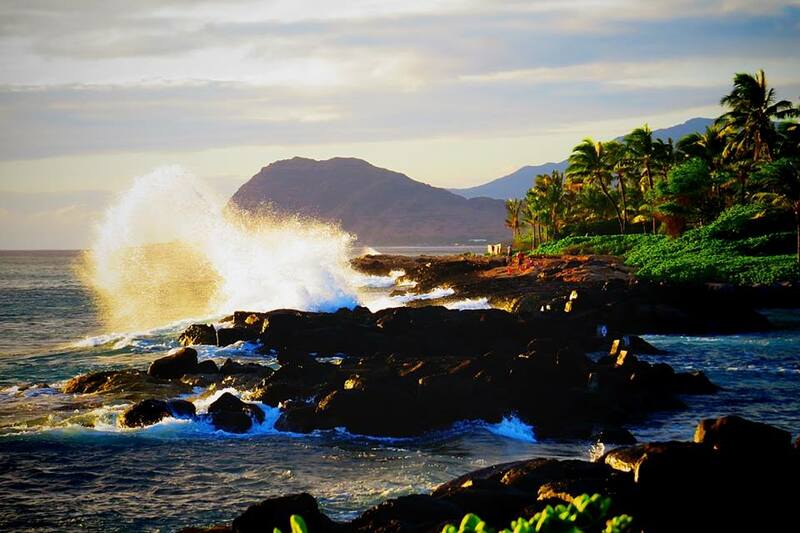 I was completely astonished by the Ko Olina lagoons, which really spotlight the raw beauty of Hawaii. The blue-green aqua waters beckon you to frolic, snorkel, and easily swim in the protected tranquility of the lagoons. 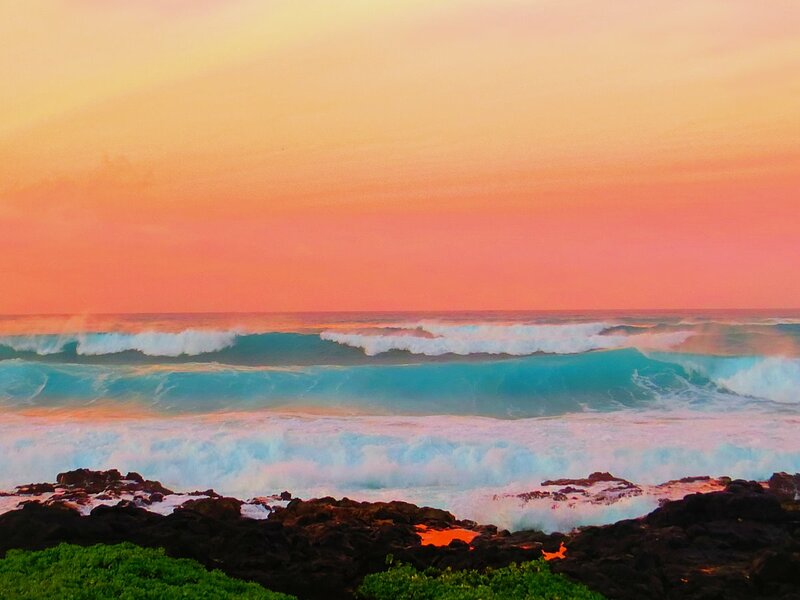 Walk past the lagoons towards the ocean, and enjoy crashing waves and watch seals and turtles frolicking in the water. 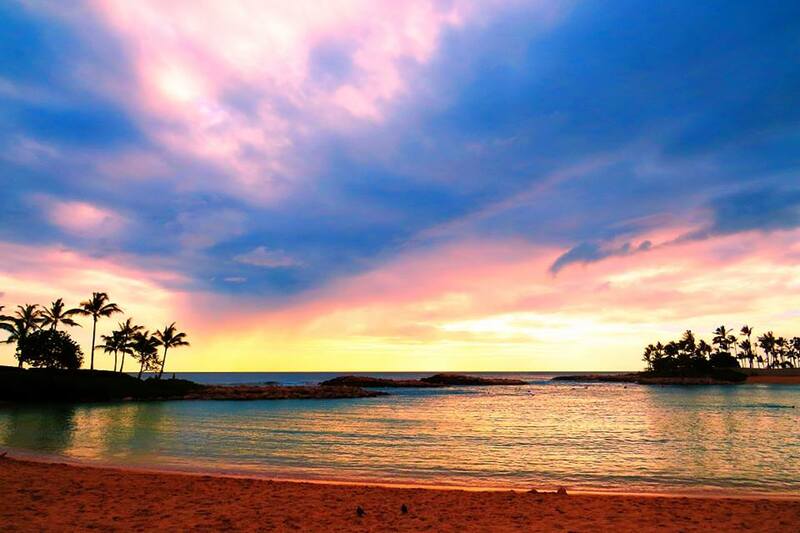 The Ko Olina lagoons is one of the Oahu beaches to head to when you want to watch the sunset. Just get there early, as the parking lots become full fast. 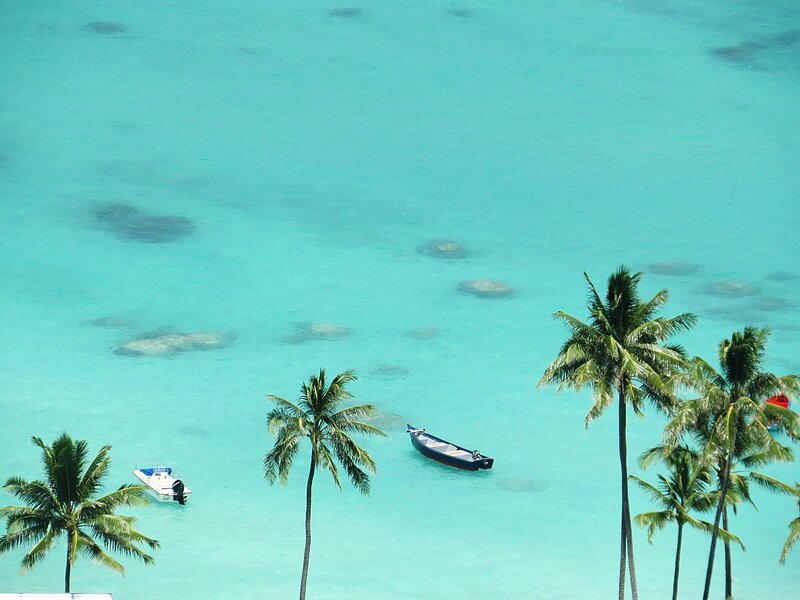 Everything about Lanikai Beach is spectacular (ok, except for the parking which is non-existent). The fine, white sand, gentle waves, and vibrant blue water will make you want to stay all day. But, what I like even better than lying on this beach, is kayaking out to the Mokulua Islands that you can see from the shore. The larger island is Moku Nui and, there’s a beach on the island that you can land on. The smaller island, Moku Iki, is currently off-limits. You will see a ton of turtles on your kayak trip, and the island is only about a thirty minute paddle from Lanikai. Talk about an uncrowded beach! 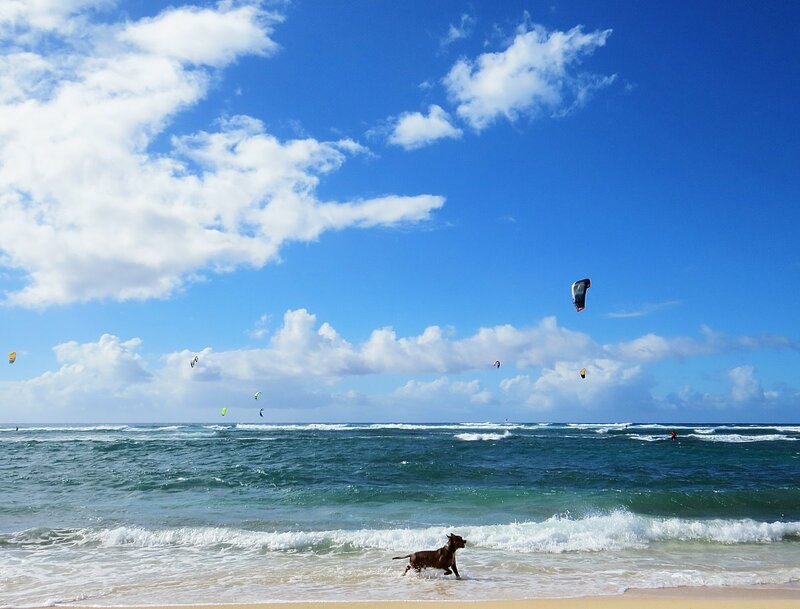 It will just be you and the kitesurfers. 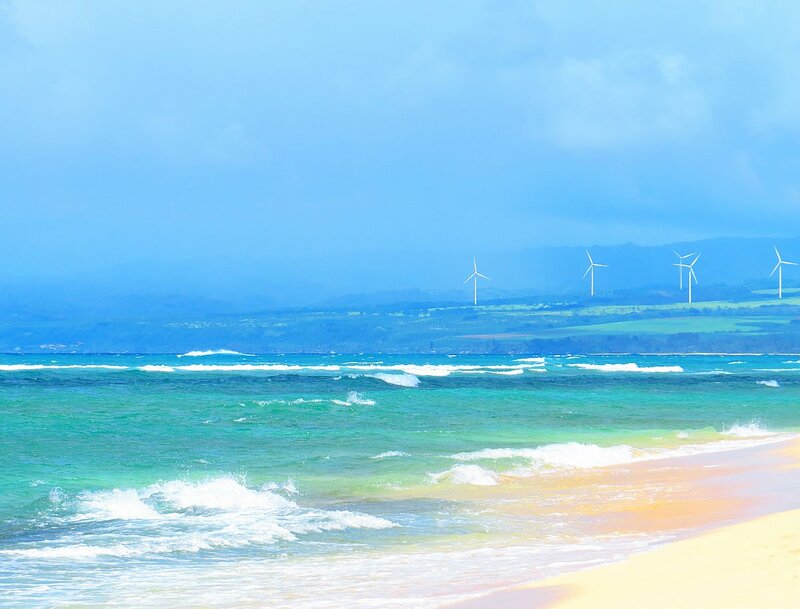 Oh, and gorgeous views of windmills and a long sandy beach for strolling. The currents are strong here, so it isn’t ideal for swimming, but turtles swim just a few feet from the shore, and the color of the water is breathtaking. 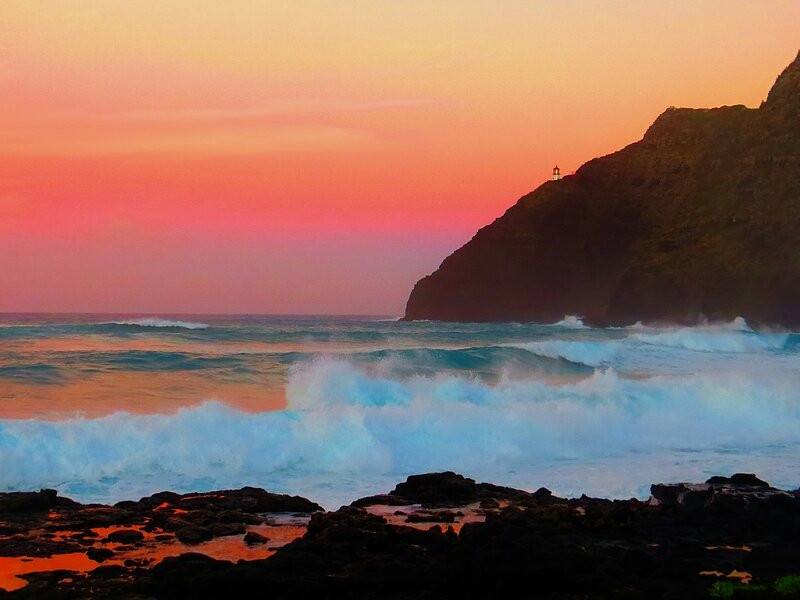 Makapuu Beach is one of the most spectacular Oahu beaches, especially at sunset. The Makapuu lighthouse on a beautiful hillside keeps watch over the beach, and the beach itself is in a cove. The waves are big and crash right on the shore, so it’s no my favorite place to swim, but if you’re a bodyboarder you will love it. The backdrop of Rabbit and Flat Island makes this beach almost otherworldly. 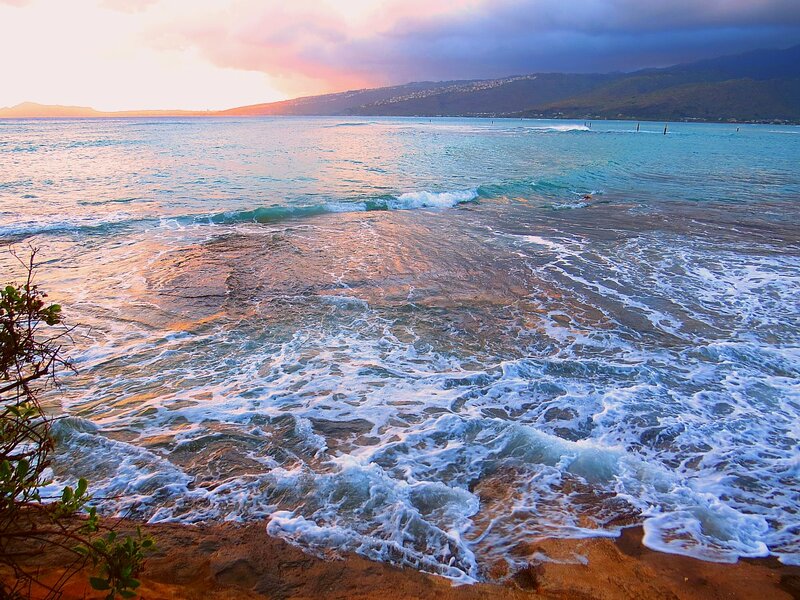 While China Walls isn’t your typical beach, it’s one of the best spots to watch the sunset on Oahu. It’s also fun for cliff jumping and surfing. You’re also likely to see whales. The parking in the neighborhood is easy, but I wouldn’t recommend bring kids here as the hike down isn’t an easy one. The water is clear and the views are stunning. 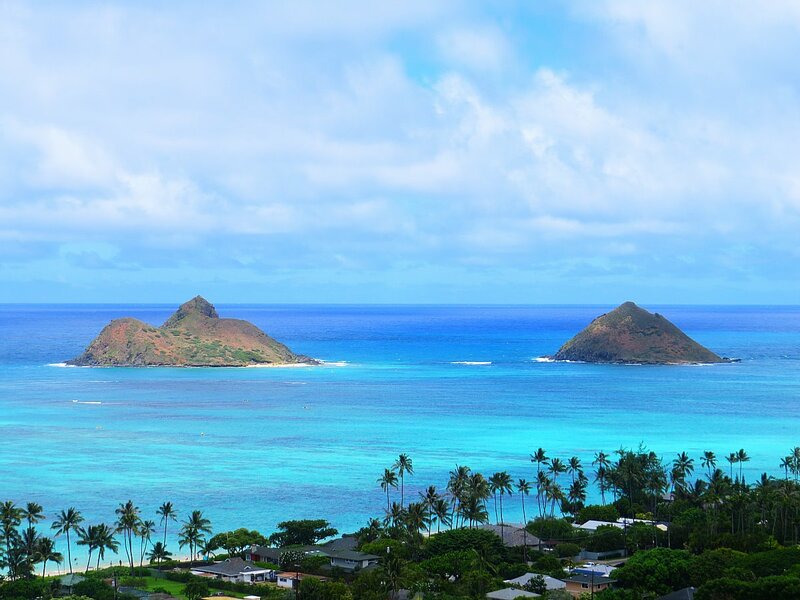 Lanikai beach is my favorite beach on Oahu, so does China Wall,but too scared to jump off the cliff to swim. Waikiki is a beautiful place but living in Hawaii makes me realize there is so much more to Waikiki. Thanks for writing this, brings back so many memories. I’m too scared to jump off the cliff, too! Glad you liked it! !